The world of helicopters is a very fascinating field. Especially for rescue professionals and paramedics. This time we moved to the other side of the world, precisely in Japan, to understand how HEMS is organized and managed there. We got in contact with Mr Yoshiki Morimoto the director of Nakanihon Air Service (Nakanihon Koku), located in Toyoyama, Nishikasugai District – Aichi Prefecture, Japan. What is Nakanihon Air Service and what is its importance in rescue missions setting? “Nakanihon Air Service is one of the largest Japanese operators and its main business in company involved in EMS, fire and anti-disaster helicopter missions, such as rescue. We are expert in transportation of construction materials and electronic power line inspections. We dispose of several helicopters: AS332L1, EC135, AS350B3, Bell412, Bell429and fixed-wings aircrafts, such as Cessna C560. 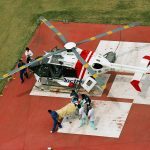 How is the air ambulance service organized in Japan? “In Japan, until the 2000s it was the Japan Self-Defense Forces or Fire and anti-disaster Helicopter to carry fly operations out. 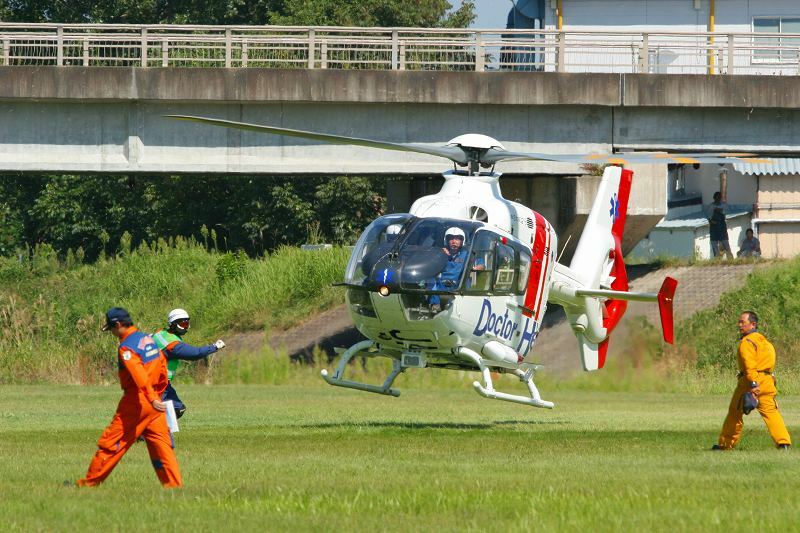 Since 2001, Japanese government regulated Doctor-Heli programme managed by specific HEMS companies, like Nakanihon Air Service. Japan is composed by 47 prefectures, and 42 prefectures out of 47 have doctor helicopters. In total, there are 52 medical aircrafts that operates in the entire island. 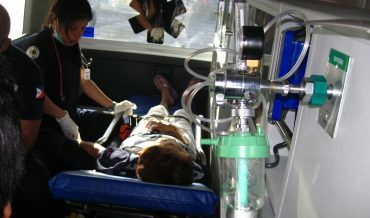 The Ministry of Health, Labour and Welfare and the local governments are the bodies which cover the cost of any air ambulance service for each case. Patients only pay their medical treatment. 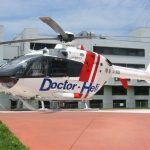 Nakanihon Air Service covers 25% of medical helicopter in service with EC135 and B429 aircrafts. 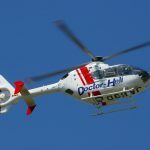 Doctor helicopters are based in hospitals and they are dispatched from the same hospitals. When emergencies occur, flight nurse and doctors get on board and they go reaching patients on sites.They start to provide medical service when they still are alive. The area where a specific doctor helicopter operates goes from 70 km to 150 km far from the hospital. Of course the call of the emergency will reach the nearest hospital and it’s it that will dispatch the helicopter. 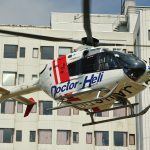 In case the accident is too far for the regulation distance but no helicopters are available, also a far hospital can send its aircraft as well in part. EC 135 – Copyright © Nakanihon Air Service Co.,Ltd. Who are the emergency operators on board? “Actually in addition to flight nurse and flight doctors, also maintenance mechanic staff are very important on board. They carry out navigation and assistance support, communication lead with the communication center, they take care of radio-communication systems and also help flight nurses in case. They also provide maintenance before and after the flight. That’s why their presence is very essential on board anytime. The crew on board is generally composed by 1 flight nurse and 1 doctor because of the weight capacity of the aircraft. Anyway it is possible that a helicopter hosts trainees, but the number of people cannot exceed of 5 per aircraft. 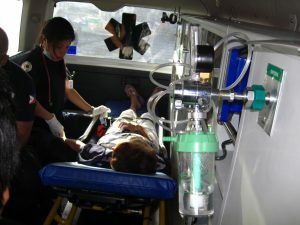 Helicopter EC135 have, for example, limited places to 4, patient included. However, the Helicopeter operators do not care crew training. It is a hospital’s matter. How do you choose to use a certain type of helicopter or another? Are there standards, according to the kind of emergency, the weather or the environment? when the helicopter is landing. An example of a rescue mission on Japanese mountains: dangers for the air ambulance　operators and patient? Standards to follow? “For rescue operations, on mountains for example, doctor helicopters cannot operate. In case of this sort of emergency, Fire and anti-disaster service helicopters are dispatched. 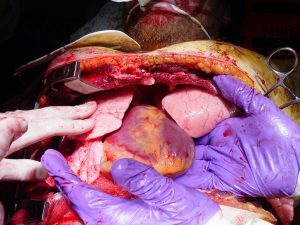 Generally, doctors are on board to supervise the health condition of the injured patient. What is the most common type of emergency you generally have to deal up with? Which are the points you wish to improve and develop in your service in the future? 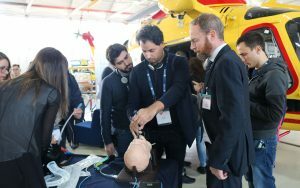 “Right now we communicate with wireless radio-communication with each department, but for medical communication, it will be progressively switched to the digital communication in order to transfer the vital information, including electrocardiogram wave form. There are not enough pilot training areas in Japan. This makes pilot training difficult. Nakanihon Air Service yet need to provide the training under such adverse conditions. We need a small landing/take-off zone, that creates the same landing/take-off challenge at scene for ab-initio pilots. However, most of the candidate areas (public school playground, city park, stadium, national park, river bank, etc.) are owned/administered by local authorities. They set their own rules for their use.